Effect of South-West Defect in Vastu And Remedies, how defects in South-West Direction Arises,Remedies of South-East Vastu Defects. South West direction is very important and is controlled by Rahu. Luck, Fortune, longevity is also controlled by south west direction. So any defect in this direction will make the effort of owner fruitless. He will not get the optimum from his hard work. Any defects in this direction also increase the Pitr dosha and also invite misfortune. It also make chance of evil eye effect. 1. Any pit in this direction is dangerous. 2. Septic tank in South West direction is not good. 3. If there is more space in comparison of north east direction. 4. Slope in this direction very harmful. 5. Wider door in this side is not good for the prosperity. 6. Any type of dirt in this direction will ruin the future. 1. 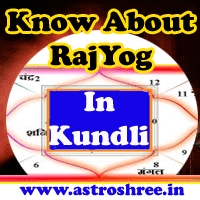 Siddha rahu yantra in this direction will minimize the bad effects of this direction. 2. Siddha Vastu kalash will solve many types of problems in house, office, factory etc. I'm from Mauritius and we barely have any Vastu expert here. Our Septic tank is in the South-West and from what I've heard, it is one of the biggest Vastu Dosha. I was planning to build a store-Room above the septic tank area. Will that be OK??? No that is not ok. Because septic tank releases negative energy and that will not be reformed just by making store room above it. yes , some how it is a good thing.